Our Nottingham and Derby garage clearance service is the easiest way to clear out garages of all shapes and sizes. We charge by the exact amount of waste removed, so unlike skips you never pay for thin air. Professional Garage Clearance Company In Nottingham And Derby. 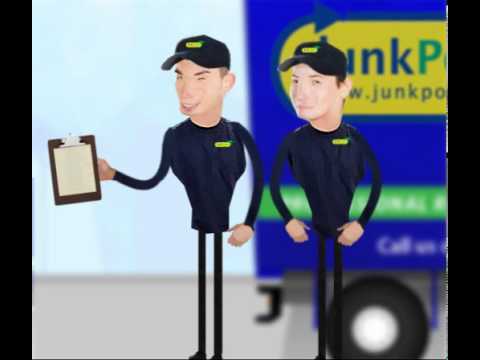 Our friendly uniformed team will arrive in a convenient 2 hour window to clear junk from anywhere in your property. We guarantee that everything we remove is disposed of responsibly and wherever possible, reused and recycled. Many items in a garage clearance are able to have reused via our network of Charities. Nottingham and Derby garage clearance services include a thorough sweep-up, leaving your garage nice and clean for you to use again. We typically respond within 24 hours of your call and often on the same day. Our bathroom clearance skip hire alternative service can be obtained in Nottingham, Nottinghamshire and Derby. Unlike skip hire, with our garage clearance service there's no need to pay extra or wait for a skip permit and we only charge for the space taken up in the Junkporters trucks, so we often work out considerably cheaper than skip hire prices. Our crews take all types of waste from anywhere on the property, including fridges, TVs and fluorescent tubes. Where possible we pass items to Charity's and recycle all the remaining waste we collect. All labour included plus We Recycle 85% Of all rubbish removed.